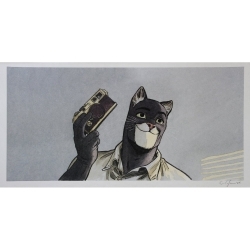 Blacksad There are 66 products. 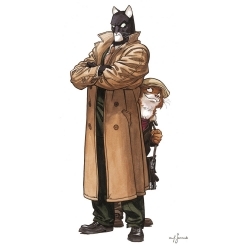 An absolute must-have for all fans of Blacksad. The cork-backed coaster has a laminated image on the top. It is original, functional and eco-friendly. The coaster is not only looking great on your table but it will also protect your table from heat, stains and spillages. John Blacksad shooting (10x10cm). 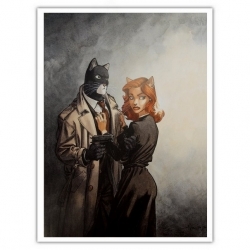 This art offset poster derived from Juanjo Guarnido's Blacksad comic book is printed on a thick satin art paper. 24x18cm. John Portrait. This art offset poster derived from Juanjo Guarnido's Blacksad comic book is printed on a Fedrigoni Stucco Old Mill 250g paper. 50x70cm. Red Soul. 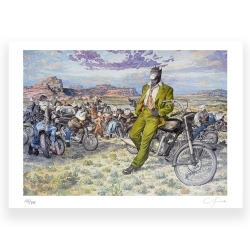 This art offset poster derived from Juanjo Guarnido's Blacksad comic book is printed on a Rive Sensation 270g paper. 50x25cm. Sunflower circus. 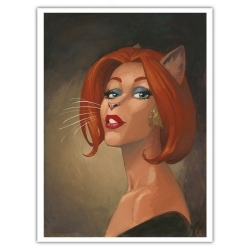 This art offset poster derived from Juanjo Guarnido's Blacksad comic book is printed on a Rive Sensation 270g paper. 50x25cm. Abe and Chab. 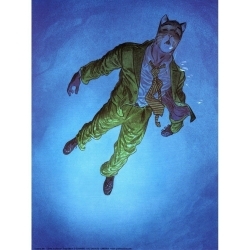 This art offset poster derived from Juanjo Guarnido's Blacksad comic book is printed on a Rive Sensation 270g paper. 50x25cm. Abe and Chab. Hand signed by Juanjo Guarnido. This art offset poster derived from Juanjo Guarnido's Blacksad comic book is printed on a Rive Sensation 270g paper. 50x25cm. John's Family. Hand signed by Juanjo Guarnido. 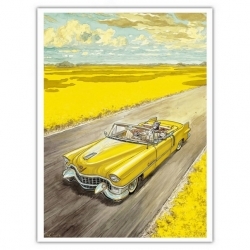 This art offset poster derived from Juanjo Guarnido's Blacksad comic book is printed on a Rive Sensation 270g paper. 45x23cm. The camera. Hand signed by Juanjo Guarnido. 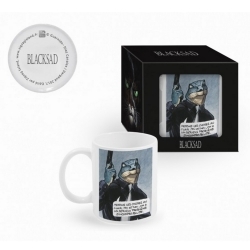 High quality ceramic mug Blacksad: Photographer. Ideal for a gift! Compatible with microwave and dishwasher. The breakfast will be much more fun if you're a fan of the Blacksad comics. The cup is official, licensed and made of ceramic with a capacity of 300ml. 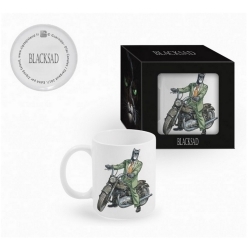 High quality ceramic mug Blacksad: John on Triumph motorcycle. Ideal for a gift! Compatible with microwave and dishwasher. The breakfast will be much more fun if you're a fan of the Blacksad comics. The cup is official, licensed and made of ceramic with a capacity of 300ml. 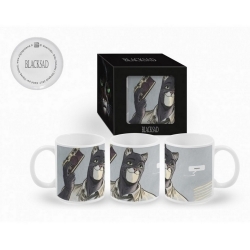 High quality ceramic mug Blacksad: Let's clear things up. Ideal for a gift! Compatible with microwave and dishwasher. The breakfast will be much more fun if you're a fan of the Blacksad comics. The cup is official, licensed and made of ceramic with a capacity of 300ml. 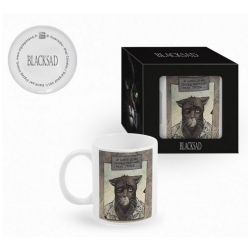 High quality ceramic mug Blacksad: The Morning. Ideal for a gift! Compatible with microwave and dishwasher. The breakfast will be much more fun if you're a fan of the Blacksad comics. The cup is official, licensed and made of ceramic with a capacity of 300ml. 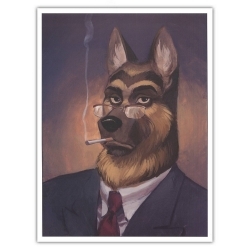 High quality ceramic mug Blacksad: Smoking Portrait. Ideal for a gift! Compatible with microwave and dishwasher. The breakfast will be much more fun if you're a fan of the Blacksad comics. The cup is official, licensed and made of ceramic with a capacity of 300ml. 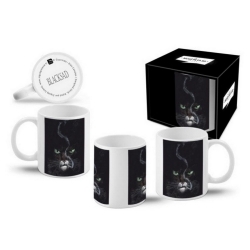 High quality ceramic mug Blacksad: New York City (black and white). Ideal for a gift! Compatible with microwave and dishwasher. 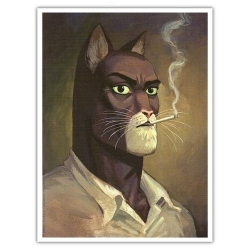 The breakfast will be much more fun if you're a fan of the Blacksad comics. The cup is official, licensed and made of ceramic with a capacity of 300ml. 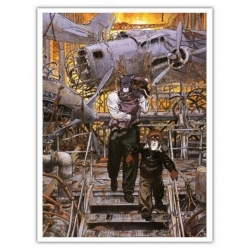 This art offset poster derived from Juanjo Guarnido's Blacksad comic book is printed on a thick satin art paper. 18x24cm. Weekly Portrait. 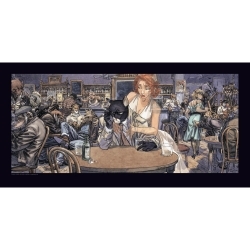 This art offset poster derived from Juanjo Guarnido's Blacksad comic book is printed on a Condat mat 250g paper. 25x50cm. John and Weekly. 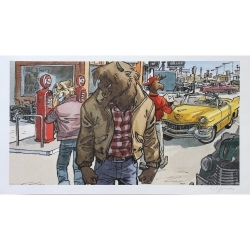 This art offset poster derived from Juanjo Guarnido's Blacksad comic book is printed on a Condat mat 250g paper. 50x100cm. John and Weekly. 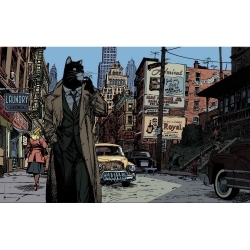 This art offset poster derived from Juanjo Guarnido's Blacksad comic book is printed on a Condat mat 250g paper. 100x50cm. Jazz n' Fun's Club. 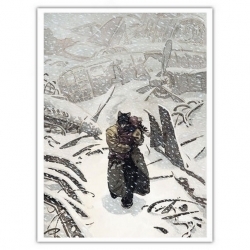 This art offset poster derived from Juanjo Guarnido's Blacksad comic book is printed on a Condat mat 250g paper. 100x50cm. John's Blues. 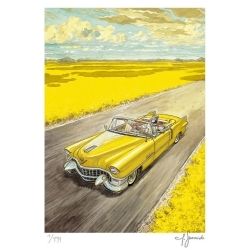 This art offset poster derived from Juanjo Guarnido's Blacksad comic book is printed on a Rive Sensation 270g paper. 50x70cm. Amarillo. Limited edition to 399 copies, hand signed by Juanjo Guarnido. 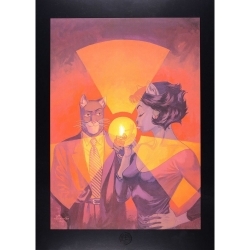 This art offset poster derived from Juanjo Guarnido's Blacksad comic book is printed on a Fedrigoni Stucco Old Mill 250g paper. 50x70cm. Amarillo. This art offset poster derived from Juanjo Guarnido's Blacksad comic book is printed on a Fedrigoni Stucco Old Mill 250g paper. 40x50cm. John's Triumph. Limited edition and numbered 399 copies, hand signed by Juanjo Guarnido. 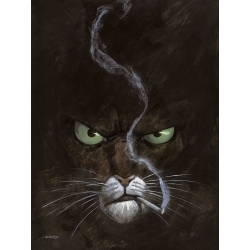 This art offset poster derived from Juanjo Guarnido's Blacksad comic book is printed on a Condat mat 250g paper. 40x50cm. John on Triumph motorcycle. 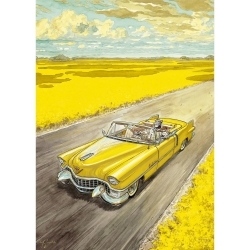 This art offset poster derived from Juanjo Guarnido's Blacksad comic book is printed on a Condat mat 250g paper. 24x18cm. New York City. 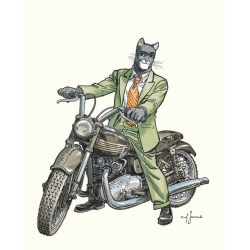 This art offset poster derived from Juanjo Guarnido's Blacksad comic book is printed on a Condat mat 250g paper. 100x70cm. New York City. 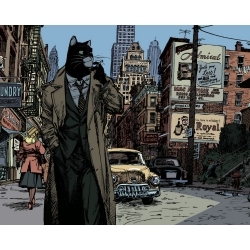 This art offset poster derived from Juanjo Guarnido's Blacksad comic book is printed on a Condat mat 250g paper. 50x40cm. New York City. 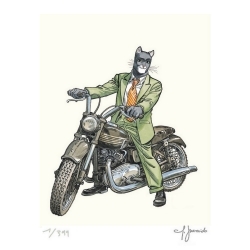 This art offset poster derived from Juanjo Guarnido's Blacksad comic book is printed on a thick satin art paper. 24x18cm. Amarillo's Road. 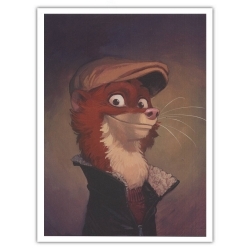 This art offset poster derived from Juanjo Guarnido's Blacksad comic book is printed on a Fedrigoni Stucco Old Mill 250g paper. 50x40cm. New York City. 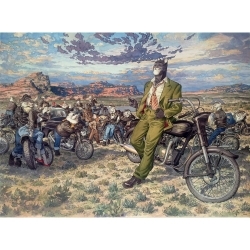 Limited edition and numbered 250 copies, hand signed by Juanjo Guarnido. This art offset poster derived from Juanjo Guarnido's Blacksad comic book is printed on a Fedrigoni Stucco Old Mill 250g paper. 18x24cm. Somewhere Within the Shadows. This art offset poster derived from Juanjo Guarnido's Blacksad comic book is printed on a Fedrigoni Stucco Old Mill 250g paper. 50x70cm. Somewhere Within the Shadows. This art offset poster derived from Juanjo Guarnido's Blacksad comic book is printed on a Fedrigoni Stucco Old Mill 250g paper. 80x60cm. Amarillo's Road. 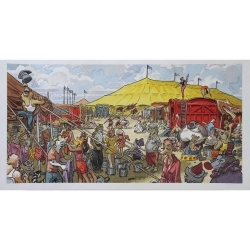 Limited edition and numbered 399 copies, hand signed by Juanjo Guarnido. 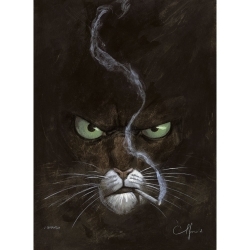 This art offset poster derived from Juanjo Guarnido's Blacksad comic book is printed on a Condat mat 250g paper. 80x60cm. Amarillo's Road. This art offset poster derived from Juanjo Guarnido's Blacksad comic book is printed on a Fedrigoni Stucco Old Mill 250g paper. 50x70cm. Bodyguard. 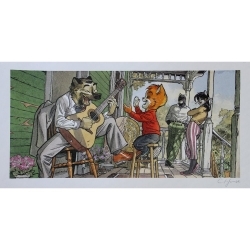 This art offset poster derived from Juanjo Guarnido's Blacksad comic book is printed on a Rives Tradition 250g paper. 30x40cm. Smirnov Portrait.